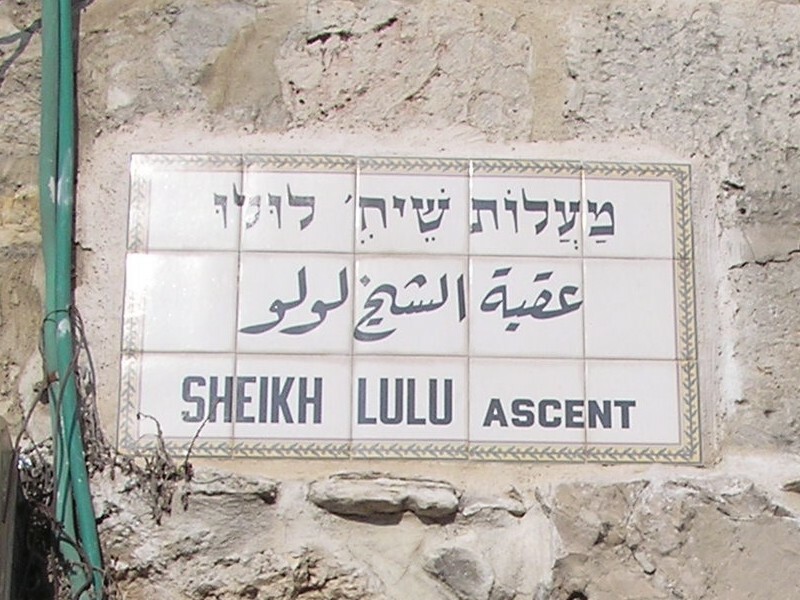 Sheikh LuLu Ascent or Tareeq alShaykh Lu'lu' is a street inside the walled city of Jerusalem. After entering from Damascus Gate the street is immediately to the left leading to the area of al-Sa'adia. The ceramic street sign of Sheikh LouLou Street.